How to choice the right infrared temperature sensor of Exergen for an application? Locate the IRt/c.01 close enough to make the measurement accurately. Referring to the 1:1 field-of-view specification, be sure that the target is large enough, or the sensor close enough such that the target is larger than the measuring spot. The IRt/c.01 can be physically close as to nearly touch the target, and is limited only by physical space and local temperature. 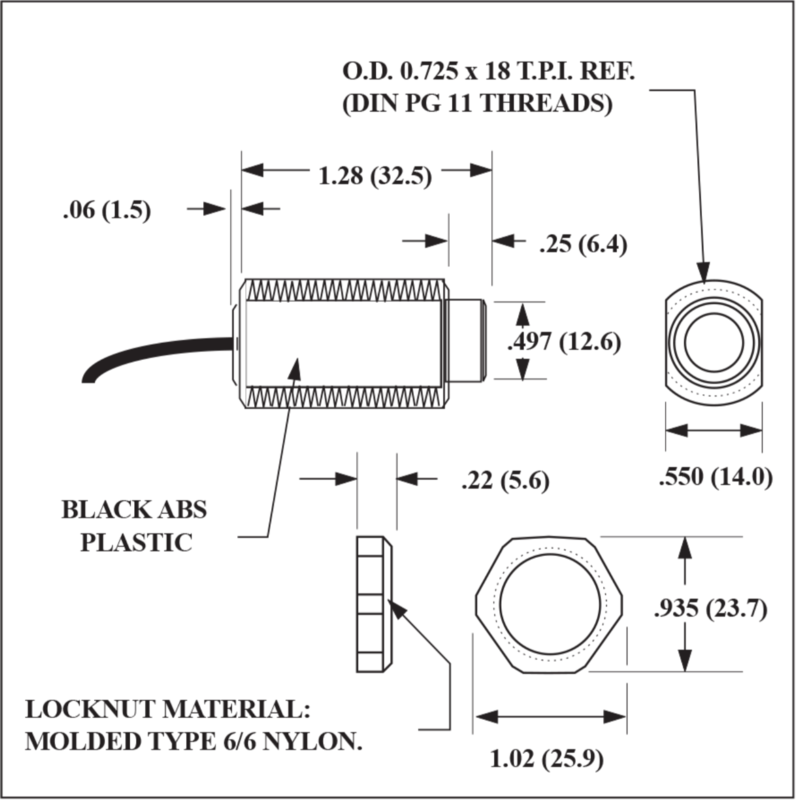 Normal mounting is with the supplied locknuts (2 supplied), but alternative methods may be used to hold the cylindrical section or the flats, whichever is more convenient in locating as close as practical. 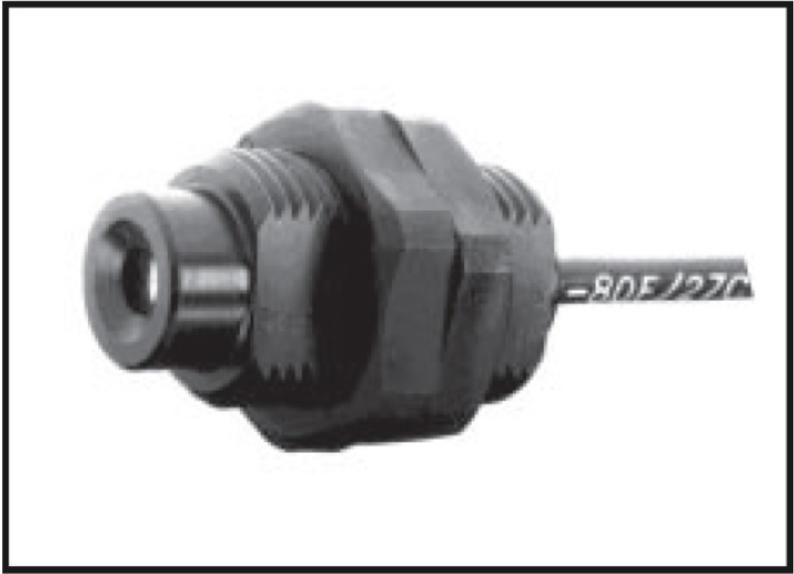 For hot targets in close proximity (~ 1 inch or 2,5 cm) permit adequate ventilation of the mounting to keep the IRt/c.01 below its 160°F (70°C) rating. If the sensor face is likely to become dirty, mount in such a fashion to permit occasional cleaning with a mild solvent such as alcohol. Select the linear range required. Referring to the Temperature Selection Guide, choose the model that has the center of its linear range closest to the control point for your pplication, and select the thermocouple type you prefer. If your application includes monitoring and control over a range of more than ~ 100°F (~ 50°C), and your thermocouple interface has computational ability, request a copy of the IRt/c Signal Output Table for your model, which has the data necessary to linearize over the entire operating range of the IRt/c.01. Referring to Tech Note #1, best practice is to install the IRt/c.01, operate the process under normal conditions, and calibrate the read-out system based on the reading from a reliable reference (the D-Series is recommended). As long as the target materials are consistent, and there is no leakage current offset from the electronics, the initial calibration will be valid for all subsequent installations.